Jersey is located just off the coast of Normandy, France, and is the largest of the Channel Islands with its 119.5 km². The island is part of the ancient Duchy of Normandy, ruled by the Duke of Normandy—a title held by the reigning Monarch of the United Kingdom, Queen Elizabeth II. 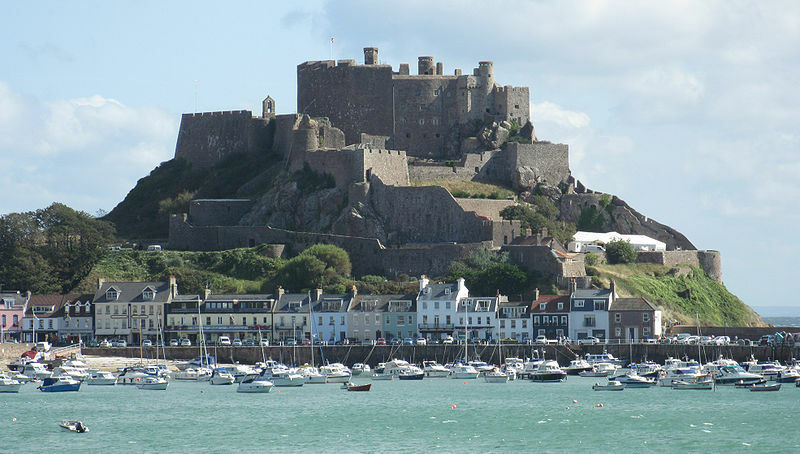 Jersey history is influenced by its important strategic location between the northern coast of France and the southern coast of England; the island’s recorded history extends over a thousand years. In the ninth century, Jersey was invaded by the Vikings and was eventually annexed to the future Duchy of Normandy, together with the other Channel Islands by William Longsword (Norse: Vilhjálmr Langaspjót, c. 900 – 942 AD), count of Rouen in 933 and it became one of the Norman Islands. Learn more about the Vikings here. William Longsword was the second “Duke of Normandy” until his assassination. He was born ‘overseas’ to the Viking Rollo (c. 846 – c. 931), who was later baptised Robert. Rollo was a Norse nobleman of Norwegian or Danish descent who was founder and first ruler of the Viking principality which soon became known as Normandy. His descendants were the Dukes of Normandy, and following the Norman conquest of England in 1066, kings of England. When William’s descendant, William the Conqueror, conquered England in 1066, the Duchy of Normandy and the kingdom of England were governed under one monarch. The Dukes of Normandy owned considerable estates in Jersey, and Norman families living on their estates established many of the historical Norman-French Jersey family names. King John lost all his territories in mainland Normandy in 1204 to King Philip II Augustus, but retained possession of Jersey and the other Channel Islands. The islands have been internally self-governing since then.